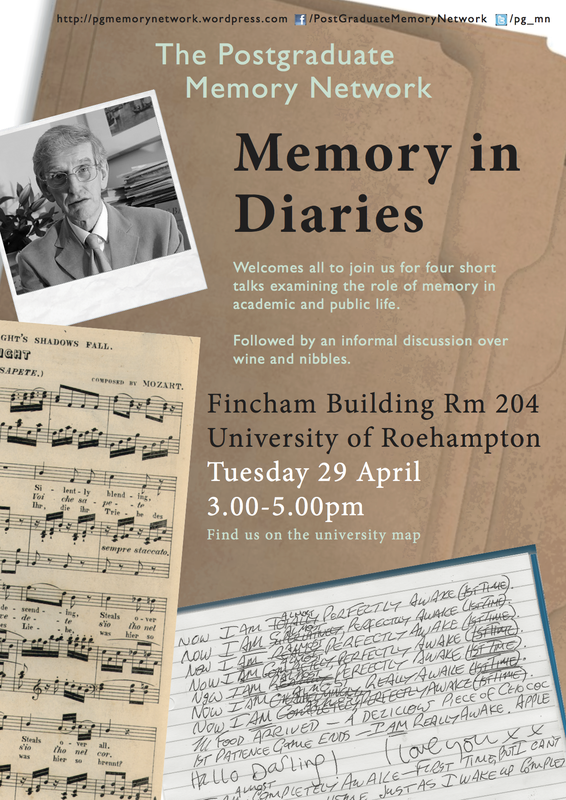 We are very excited to announce that the Postgraduate Memory Network conference, Memory and Travel, has merged with the Memory Network conference, The Story of Memory, at the University of Roehampton on 4-5 September 2014. In addition to attending postgraduate panels and a keynote presentation (speaker tbc shortly) addressing Memory and Travel, postgraduate delegates will be able to attend The Story of Memory panels and keynote presentations from speakers including Suzanne Corkin (Neuroscience, MIT), Mark Currie (English Literature, QMUL) and Asifa Majid (Psycholinguistics, Radboud). Merging the conferences will, we are sure, generate a broader and more unexpected range of ideas and debate surrounding themes of memory, travel and narrative in a variety of academic disciplines. The first twenty postgraduate applicants will pay a reduced registration fee of £40. We proudly present the first PGMN conference: Memory and Travel! Come and explore these questions – and ask some more – at the Postgraduate Memory Network’s inaugural conference, to be held in Central London on Wednesday 3 September 2014. We invite papers from all academic disciplines, interpreting ‘memory and travel’ as broadly and creatively as possible. Please send 300-word abstracts to pgmemorynetwork@gmail.com by 1 August. All are welcome to attend. For further details and updates regarding speakers and venue etc., please visit pgmemorynetwork.wordpress.com. We look forward to sharing our ideas with you! How does age affect our memory? We’ll be exploring this topic in our next seminar, which will be held in the Bailey room at the University of Roehampton from 3 – 6pm on Tuesday 10th June 2014. We’re interested in hearing talks from all kinds of disciplines so if you’re interested in contributing a 15 minute talk then please get in touch! We’re looking forward to see you then! A big thanks to our three speakers for making our first seminar a thought provoking and fruitful experience! For everyone who couldn’t make it, our speakers were so kind to send us a blurb of their presentation! Yvain, or The Knight of the Lion, is the story of a young knight who falls in love, loses his lady’s love, goes mad and then reclaims his sanity alongside finding his own identity by falling asleep. Though much has been written on Yvain’s madness prior to his sleep and his adventures with the lion afterwards, there has been little focus on the purpose of the sleep itself. Written in twelfth century France by Chrétien de Troyes during a period of great violence, the two main values ascribed to knights in romances of the time were ‘fin’ amor’, or love and loyalty to one’s lady, and ‘proesce’, prowess and loyalty to one’s lord. For Yvain it is impossible to satisfy the demands of both, and so he goes mad. It is only when he falls into a deep sleep, however, that he can be cured of his madness and reconcile himself to his world’s demands on him by forging his own identity. He is a male ‘Sleeping Beauty’, an instantly recognisable figure, and his knight in shining armour is a young woman who rather enthusiastically slathers him in magical oil while he remains asleep. It is through this period of passivity that he able to grow and develop as a knight. What is key is that, despite his dishevelled appearance, the young maid helps him because she recognises him for who he actually is. Prior to this he is identified in relation to other people, thanks to the maid’s intervention he can and does build his own identity as The Knight of the Lion. Sleep, as an evolved behaviour, puts us in a vulnerable position and seems like an inefficient use of our time. However, we know that sleep deprivation causes a long list of detrimental symptoms including heart problems, cognitive dysfunction and eventually death. This suggests that sleep is extremely important and must serve some vital function. More than 50 years of sleep research has failed to give conclusive evidence as to why we sleep, apart from the fact that we get sleepy. However, from observing changes in behaviour before and after a good night’s sleep, we see clear improvements in memory ability. This leads to the question of what happens in the brain whilst we sleep, a question answered by a neuroimaging technique called electroencephalography (EEG). This technique shows us the electrical activity of large groups of neurons in the brain (called ‘brainwaves’) and suggests that there are two distinct subtypes of sleep called Rapid Eye Movement (REM) and non-REM (NREM). Within the NREM subtype, there are three sleep stages followed by the REM stage. Because the early night consists more of NREM sleep and the late night is dominated by REM sleep, researchers have found that NREM sleep promotes conscious memories for specific events and REM sleep promotes procedural, subconscious memories such as learning an instrument. Recent research has discovered what is termed an ‘emotional memory trade-off effect’, where emotional memories are actively prioritised by sleep often at the expense of non-emotional memories. It is suggested that due to the limited processing capacity of the brain, it selects only the most relevant (and therefore the most emotional) memories to process and stabilise. However, more research must be conducted in order to understand the underlying mechanisms of the link between sleep and emotional memories. Everyone dreams, whether we remember them when we wake up or not. What purpose does dreaming serve? It may be that dreams strengthen the neural traces to long-term memory stores by replaying them while we sleep. The types of memories that are consolidated may be sleep-stage specific. In particular, it might be that Non-Rapid Eye Movement (NREM) sleep may be important for episodic memories (personally relevant memories about events and experiences) and REM sleep for emotional memories. However, other types of memory might be consolidated in these stages and also these types of memory may not be exclusive to these sleep stages (e.g. episodic memories may also feature in REM sleep.) Dreams might reflect the activity that occurs in the brain while it consolidates memories. During NREM sleep it is suggested that memories from the hippocampus are transferred to neocortical stores for long-term storage via this memory replay. During REM sleep, this activity may be disrupted, leading to strange and fragmented dreams. REM dreams also tend to feature emotional content, which may have a therapeutic benefit. It has been suggested that REM sleep serves to help us process emotional memories, allowing us to take the ‘sting’ out of them by means of replay and stabilisation, which may be reflected in these dreams. 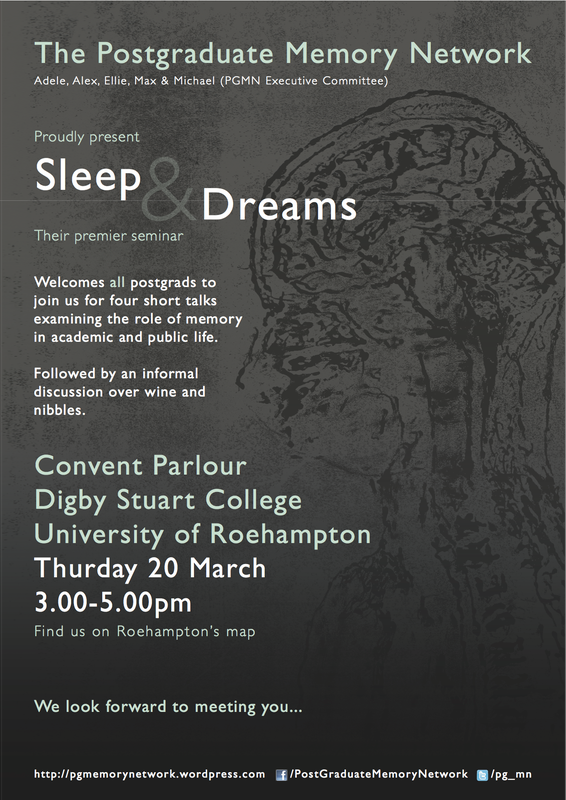 The PGMN will be holding its first seminar of 2014 on ‘Sleep and Dreams.’ The event will be held from 3 – 5pm at the University of Roehampton on Thursday 20th March. If you’re interested in contributing then please send a 300-word abstract to pg.memorynetwork@gmail.com by the midday Monday 10th March. The postgraduate branch of the Memory Network invites postgraduate students to discuss the role of memory in both academic and public life. 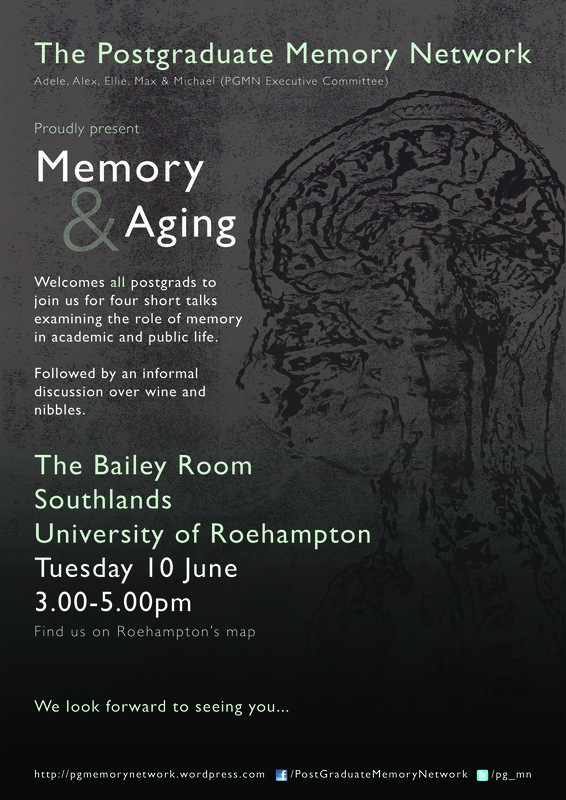 We aim to bring together graduate students from a variety of backgrounds to share new insights into memory and how it is conceived, to discuss the implications of this and to reflect on how our conversation might broaden the scope of our future research. Our driving vision is to create a dialogue between the sciences and humanities, achieving a combined effort in formulating and answering questions surrounding human memory and the brain. Memory fascinates writers and scientists alike and is especially relevant in today’s political and cultural climate, in which the approaching centenary of the outbreak of World War One raises issues related to forgetting as well as remembrance and the neurosciences continue to make impressive progress on mapping the human brain. How do we proceed with this new knowledge about ourselves? 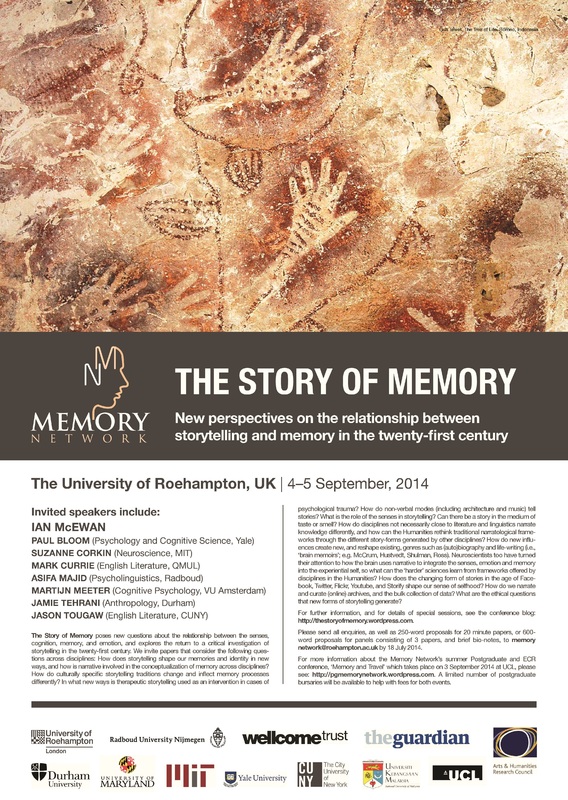 What role does academic research in the sciences and humanities play in understanding memory? The experiences of remembering and forgetting are integral to our daily lives, on both individual and collective levels. The Memory Network seeks to encourage interdisciplinary discussion of these topics, building on an appreciation of the increasingly blurred line between scientific and artistic endeavours. We aim to excite, encourage and enable students to join this urgent and fascinating dialogue through seminars, events and conferences. Change of plans, but keep those abstracts coming!